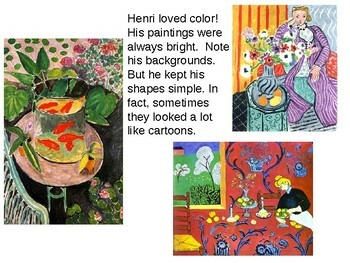 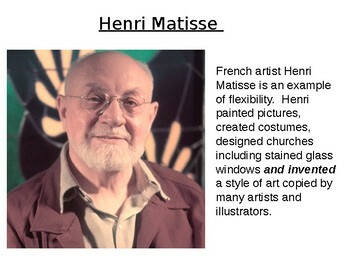 The "drawing with scissors" technique of Henri Matisse inspired illustrators like Eric Carle and Lois Ehlert. 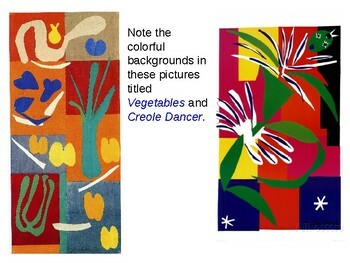 This powerpoint slideshow gives a brief history of Matisse his relentless desire to make art in spite of physical limitations. 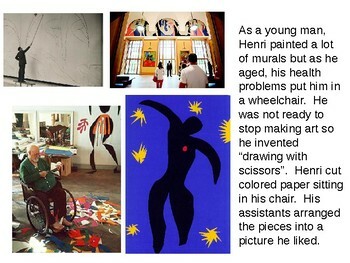 It also illustrates how his approach still inspires professionals and children.